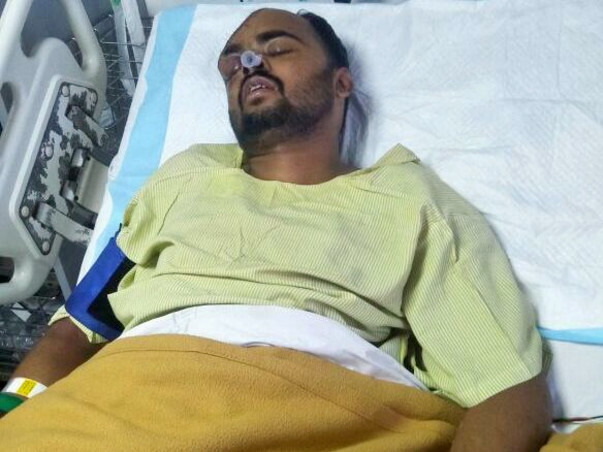 Help Nitin For Brain Surgery. Nandu was a happy villager from Bhode Village in Mulshi taluka Maharashtra. This week his world came crashing when his two sons met with a motorcycle accident. They were returning home when a tanker lost control and dashed them. Nanadu's younger son died on the spot. Nitin, Nandu's elder son is battling his life in Sahyadri hospital awaiting brain surgery. Nitin is a father of 2 year old. Being a daily wager nandu has no money for his son's operation which is estimated at around 6 lakhs. The right side of Niti's face and forehead took a bad hit and gave in. Thank you for for your support and hope we can save Nandu's elder son and pray for his younger one's soul. Nithin's family is very grateful to you all. Nithin was discharged and is at home right now. He is recovering well and is on medication as well. Thank you all! Please keep him and his family in your prayers. We are indebted to you for all the support shown towards Nitin. The balance of the amount has now been transferred to Nitin's father. Nitin has been moved to a smaller hospital and is under care. His family is grateful and gives heartfelt thanks to all of you for help in their hour of need. Thank you for your generous donations. Nitin's family is ever grateful to you and wish to thank you from the bottom of their heart. 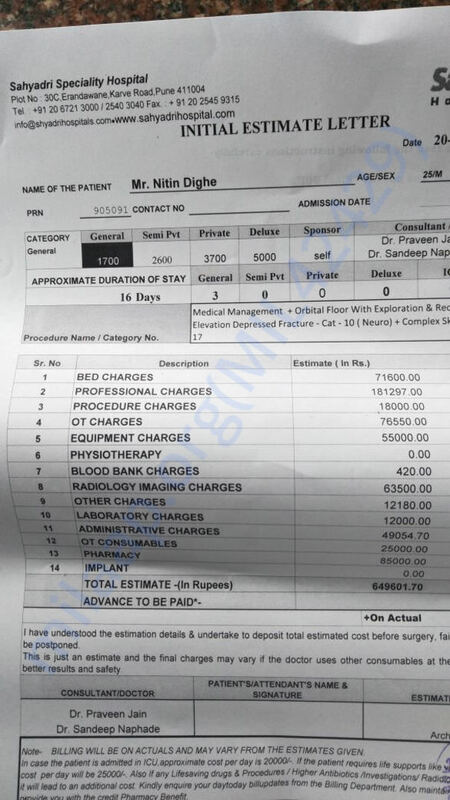 Nitin is now discharged from Sahyadri hospital. He will still require lot of care. Please keep him and his family in your prayers. God bless you all.